There are many different forms of Copper, and each different form is used for a various amount of applications. Beryllium copper is a copper alloy that is composed of beryllium bronze and spring copper. This alloy has .5% beryllium and can also contain other alloying elements. This is popular in industrial applications because it has many appealing physical properties. For instance, it very strong, and has non-sparking and non-magnetic qualities. It is successful in a wide variety of products and applications ranging from industrial with volatile environments to the production of musical instruments. Foremost, this metal is popular as a result of its physical characteristics. Beryllium copper is extremely ductile, which means that the material has the ability to be hammered thin, stretched into a wire, or can undergo change without breaking. The alloy is also weldable and can serve as a machineable alloy. Machinability means that a metal can be cut with little effort, quickly, and with a good finish. When processed through a machine, Beryllium Copper does not wear down the blade or tool much. Another beneficial quality of this alloy is that is it resistant to non-oxidizing acids; some examples of these acids are hydrochloric acid or carbonic acid. Beryllium copper is also extremely durable, as it is resistant to plastic decomposition products, wear due to abrasion, and galling. Lastly, Beryllium Copper has the ability to improve its strength through heat treatment and has great electrical conductivity. The main negative attribute of Beryllium Copper is its toxicity. The compounds in Beryllium are poisonous, so when creating this alloy there are a few safety concerns and protocols. When in solid form or a finished product, this alloy presents no health dangers, but when it undergoes welding or machining, the dust or vapors of Beryllium Copper can cause damage to lungs. As a result workers are required to wear respiratory masks and coveralls. You can find Beryllium Copper in many common products such as: springs, wire, and load cells. The alloy is non-ferrous and can retain its shape under persistent stress and strain. Compared to other metal tools, Beryllium Copper tools can work much better in capricious environments. So it can be found in industries that use oilrigs, gases, and explosive fumes. Conversely, Beryllium Copper is also used in the manufacturing of percussion instruments such as the tambourine and the triangle. Beryllium copper is an extremely versatile alloy that has so many prudent applications in the world. 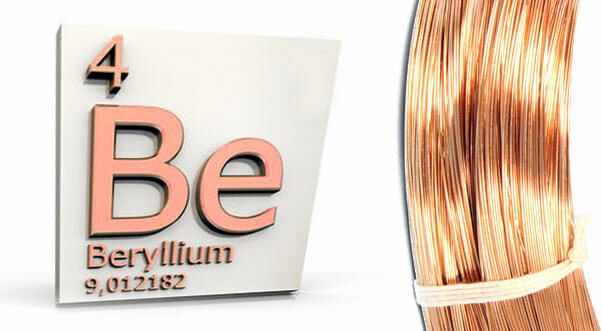 When looking for a product with many diverse attributes, there is nothing else to consider besides beryllium copper wire. 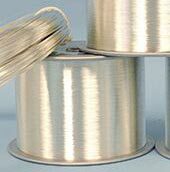 The application and usage of beryllium copper wire is extensive to say the least. You can find the alloy being used in heavy-duty industrial applications as well as in the home.